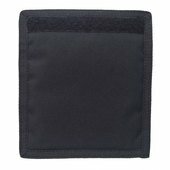 These Easy Carry Luggage Handle Wraps can be used to secure pad the handles of any pack, duffel, tote, etc. 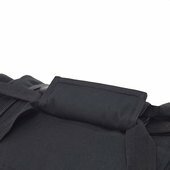 They are perfect for the handle of a deployment bag like the Mini Monster or Loadout bag, or any rolling luggage. The padding provides cushion for comfort and the Velcro strip secures handles together for convenience. The easy carry Luggage Handle Wraps come flat in the package. They easily wrap secure with Velcro around the handle of any bag.